Most of us parents want our children to fit in, to be happy, and to be “good”. And research* shows that these wants of parents are not only reasonable and complementary, they’re reciprocal. Really? Yes. Students who regularly perform kind acts can expect to be more accepted by peers and to increase their general sense of well-being. This is important, because while increased social acceptance is also related to positive social and academic outcomes, it also reduces the incidence of bullying. At one elementary school, parents took on what they called “growing kindness” in a big way. 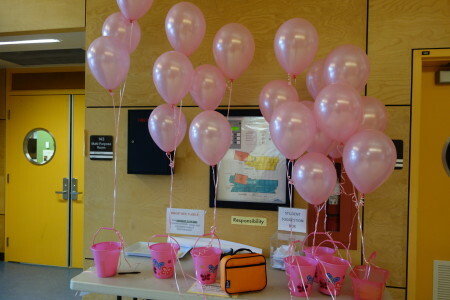 Rather than spend the year on fundraising goals and related activities, the parent group went about actively creating opportunities to “grow kindness” throughout the school! The focus was on regular and purposeful, prosocial activities for students and their families. 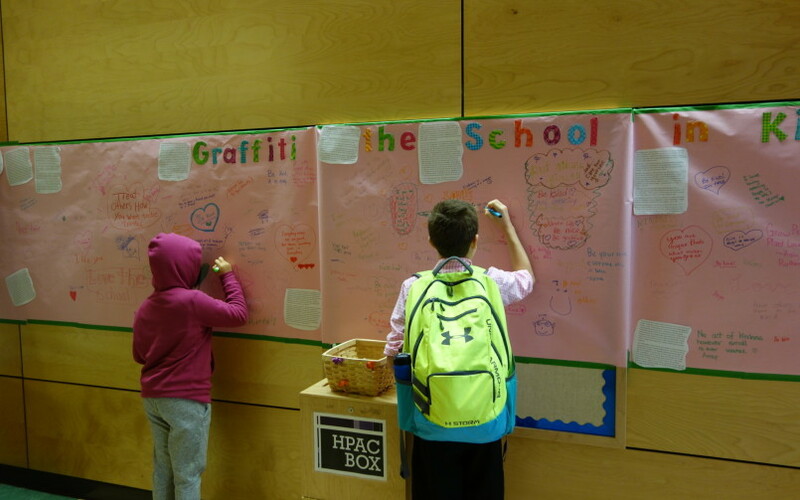 For the staff, teacher s and students, the parent group helped create a place where being a school is about fostering compassion by being kind…small acts of kindness go a long way to creating a place where “kindness” is just how it’s done. And for the kids, they realized that demonstrating their caring and thoughtfulness through their actions is not a one-day sort of thing….and that it felt good! meet with students to plan and activate their thinking about what kindness, compassion and empathy are by inviting them to explore ideas through video, discussion and their own research. Some kindness fortune ideas can be found at: https://www.randomactsofkindness.org. For messages about what being kind to others can do for YOU, show students videos like “Club G” (https://www.youtube.com/watch?v=9FwuMHnR9BU) for intermediate students. position volunteers in the high traffic areas as people arrive at school and wish “customers” a Happy [whatever day you are celebrating]! in classrooms, invite kids to talk about what they did for their random acts, how they felt about it, and what did they notice about how people responded to them? follow-up with the student and parent volunteers and “debrief” the event. Ask yourselves things like: how could we build upon this? what worked especially well?